America: A nation with a growing sense of football pride (soccer, that is) following successes at both the men’s and women’s FIFA World Cups, has taken a step backwards in its development. This comes as the country has officially banned heading for 10 year-olds within it’s sport – claiming it is due to the dangers of concussions. Now, there are two sides to this matter, concussions are a very regular part of the sport, grim as it may be. However, looking at other American sports (the likes of Ice Hockey and American Football) one might argue that dangers lie in those sports as well, despite growing safety equipment. In fact, it has also this month claimed that safety equipment at all levels of American Football leads to even more concussions in the sport, due to players feeling safer with helmets, which then leads to more head-on-head collisions. The fact remains however, that concussions are a huge part of sport in general, with 3.8 million athletes suffering concussions annually in the United States. To abolish a fundamental part of the game for a very common injury across all sports could then be very harmful to their development. Kids playing the game will shy away from heading as they get older, having not been used to heading as youngsters. Such continuous habits can be seen in players even here that would shy away from the ball when younger, which leads to them still being unwilling in later life. It’s a huge part of the game however, as one simply can’t catch the ball, nor is it realistic to expect every player to strike every “air ball” with their feet. The build-up to the new game law was also heightened by the fact that almost 50,000 concussions were recorded in the high school game. This, may I add, is not 10-year-old level. 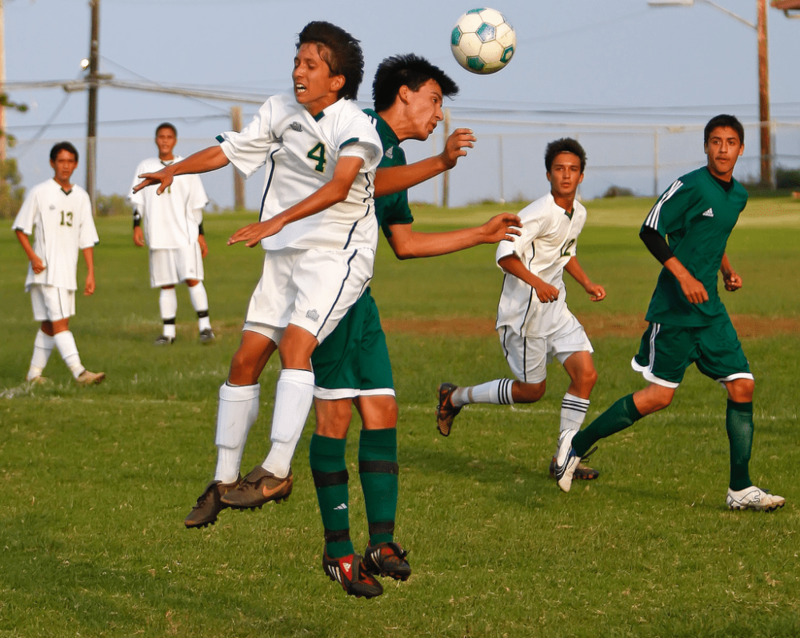 At the kids’ level, the balls used are much lighter and much smaller to acclimatise to their young, developing bodies, and so, to use high school stats to work out the game for younger kids can be seen as irrelevant and unbalanced. At high school level, we see full-size equipment being used instead, and games are much more competitive – far more than the fun nature of the 10-year-old sport.